if the game freezes, please click the flag on the top of the screen to restart the game. 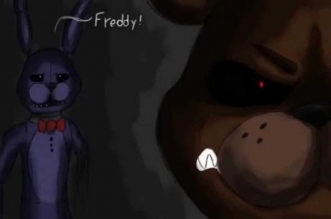 Are you willing to take up a horror adventure in the so-called free online Five Nights at Freddy’s game? The game is now available with “No download” version, so you can enjoy a fan-made remake of the game at here! As we know, the game will open an exotic adventure filled with horror stuff! FNAF game puts you in the shoes of the night watchman who works at the fictional restaurant named Freddy Fazbear’s Pizza. The in-game mission is kind of understandable for everyone. 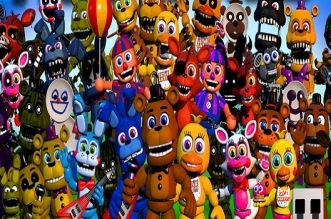 You must survive for five nights because there will be lots of whimsical things surrounding you. You can hear strange noises or the whispers of someone else, and sometimes, you will confront with the nasty animatronic beings. Don’t get stuffed, or else your game will come to an end. Bear in mind that you need to protect yourself at all costs do whatever it takes to keep you survive. You can track their movement by using the cameras, watch them carefully and make sure those creepy creatures don’t walk up to you, and if they do, shutting the emergency door is the first thing you should do. 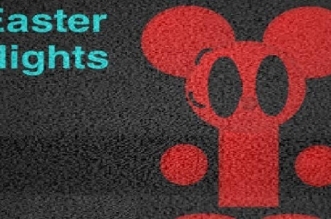 Full credit to the creator of the original Five Nights at Freddy’s game – Scott Cawthon! Hope you guys enjoy this game! 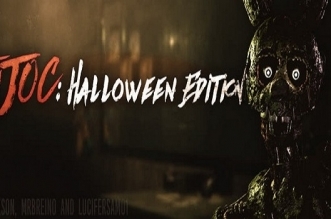 You can check out Five Nights at Freddy’s 2 and Five Nights at Freddy’s 3 at here! Have fun and wish you luck! 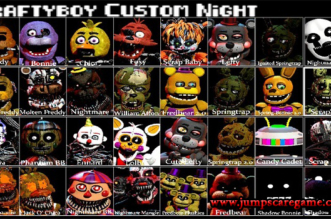 Is Golden Freddy in this version? Please tell me if you saw him! i beat the game in one day so fun!!! Bad start, you can not get past night 3 at 4 AM, Freddy ALWAYS gets you. I beat the game in one day. So fun!!! have u ever seen golden freddy? 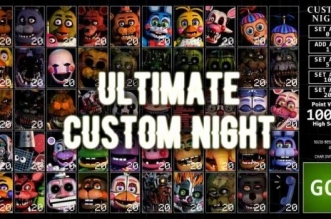 I BEAT THE FIRST NIGHT. i et chikeneseseseses.i lik chikenseseseses. 5 years later and my game is STILL in the load screen!!!!!!!!!!!!!!!!!!!!!!!!!!!!!!!!!!!!!!!!!!!!!!!!!!!!!!!!!!!!!!!!!!! The game, me can’t access. Da game me fEelZ sad.